When you are putting the law of attraction into practice, you will encounter many obstacles that need to be addressed in order to manifest your dreams and desires. The wolf can be giving you a message of how to deal with these obstacles, whether they are coming at you from the physical world or your own thoughts and words that are seeding doubts and barriers to achieving your goals. Do you have a lack of trust in yourself or someone else needed to reach your goal? Perhaps you have placed your trust in someone or an event that is not what they seem to be. It may be a warning to listen more to your intuition and put more trust in yourself. You may have doubts and/or fears that are putting your goals in jeopardy. It could be an omen of something you are not seeing, something important you are missing. Perhaps someone or a situation has a threatening feel to it or making your feel vulnerable. 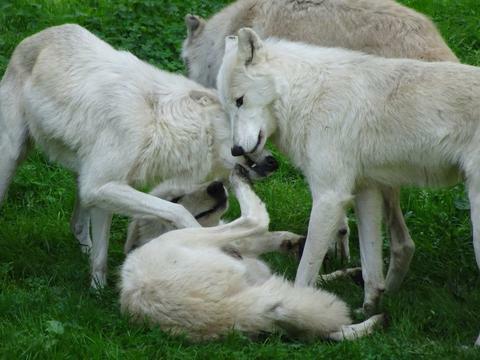 You could be dealing with some stiff competition or feel like a pack of wolves are after you. It also may be a warning of your own predatory nature. Perhaps you are taking advantage of someone who cannot stand against you or say no to you. Put those skills to use in a positive manner for everyone if you really wish to manifest your dream. Pay attention to what makes you feel threatened and make a plan to deal with the threat and eliminate it from your life in a positive manner. This will free up your psyche to allow the law of attraction to work toward achieving your desires. You are able to make quick and good emotional attachments; so you can trust yourself. You need to take control over your life and stop allowing others to direct it. You may need time alone to yourself, to break away from the pack, allowing you time to reflect, build your confidence, and develop your composure. You may be facing a current or soon-to-be challenge that you have the skills and emotional stamina with which to deal. Perhaps you are being told to live your life more freely – get rid of some of the structure and planning; be more spontaneous. The wolf also may be telling you that you are not being yourself – the person you are meant to be. 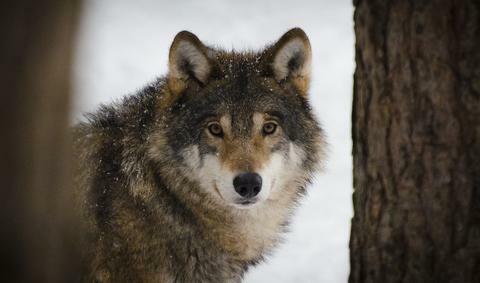 Paying close attention to the wolf, when and how it appeared, and your feelings during its appearance can direct you to its possible meaning and how it is affecting your manifesting ability. Of course, if you see a wolf in real life, put safety first. Then, you can analyze its appearance and what it means to your life. 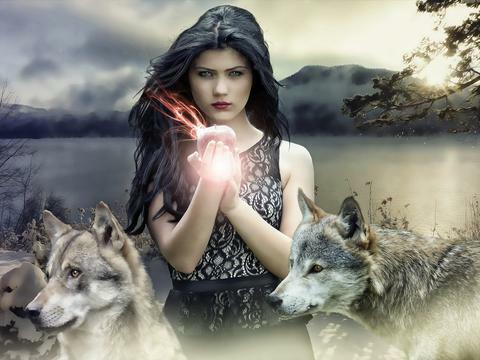 When you work together with the wolf, practicing the law of attraction and manifesting your dreams and desires also come together for your success. The Butterfly … what does it mean to your life? The butterfly carries with it several different meanings, depending on the perspective. Native Americans see it as a symbol of vibrant joy, the ability to experience life with awe, and spreading beauty in our world. It also represents finding joy in your life and to stop being so serious – lighten up. 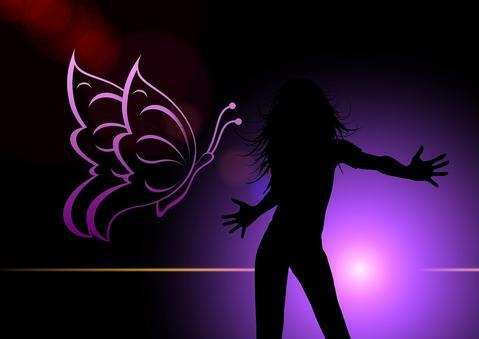 In some cultures, the butterfly represents an emotional or spiritual transformation, spiritual rebirth, and creativity. In the law of attraction, which is linked closely to nature, the butterfly represents the process of change and transformation in your life, usually on an interior basis, with endless potential. 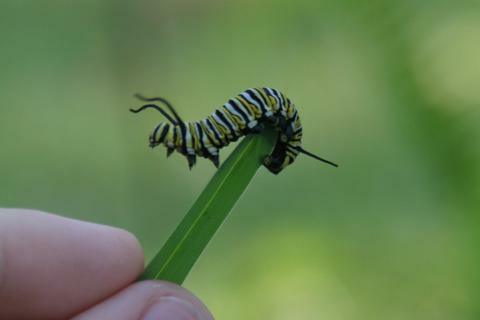 The butterfly begins as an egg that hatches into a caterpillar. It is at a stage of life before the beginning of its transformation, just crawling quietly along its journey, eating and resting. We humans have a tendency to do this, as well. We just float through life, taking it as comes without really thinking beyond tomorrow. This is a phase of human transformation before we awaken to possibilities. Perhaps a friend gives us a book to read, we get more serious about our faith, or something else points us in a new direction of learning and growth potential. And like the caterpillar, we humans need to evolve and develop further. For a caterpillar, this stage of development means wrapping itself into a silk cocoon to further develop in its journey. For humans, it means to further develop our knowledge, to study, do further research, and build a foundation. Many people believe the law of attraction is nothing more than reading a few how to’s and practicing them daily for a month or two. It is so much more than that. You need to learn about it, how it works and why, get rid of the negatives in your life and from your past that are holding your back, and so much more. And you need to allow your dreams to materialize through your own believing in and clarifying your desires. 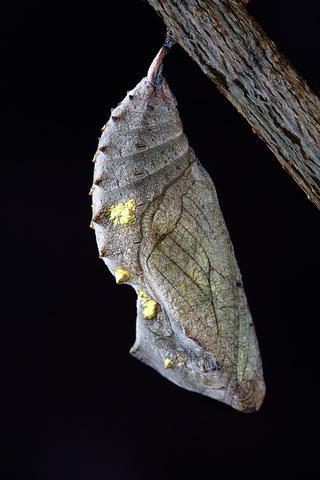 When the larva in the cocoon is fully developed, it transforms into a beautiful butterfly. This is what happens when your dreams come to fruition. But even the transformation into a butterfly isn’t an easy one. 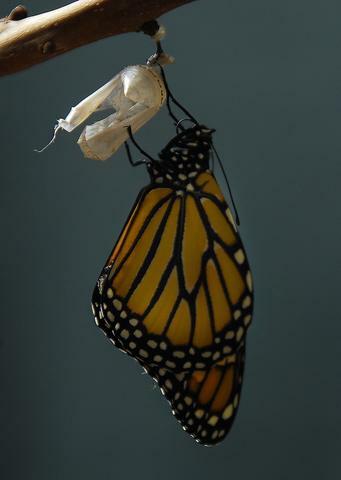 The butterfly fights and claws at the outer shell of the cocoon to get free. Then, it has to allow its wings to dry in the sun before being able to unfold them and fly. So too is our transformation. Whether a spiritual awakening or law of attraction fulfillment, once we have the information we need to transform, it can be an uphill battle. Why? Because like most humans, we fall back into old habits. It takes a lot of willpower and practice to overcome our old negative thinking and habits that hold us back. But once we do, like the larva in the cocoon, we transform into a beautiful butterfly and spread our wings to soar in life. A reminder that things will be good and beautiful again, when you are experiencing problems in your life. If none of these representations make sense for your life right now, one or more may make sense soon. Look at your life to see where improvement is needed in order to move forward; where could you use the metamorphosis of a butterfly? Think emotionally, spiritually, and especially pay attention to your thoughts and the words you speak – are they positive or negative? What is holding you back from achieving your dreams and desires? Like the metamorphosis of the butterfly, you too must go through changes for the law of attraction to manifest in your life.